A slight change in the agenda of BEF Davos Conference, 2019 is striking the members of XRP community. Event’s latest agenda indicates that the Swift’s retiring CEO, Gottafried is no longer ‘meeting Ripple’s CEO, Brad Garlinghouse’ on a round table conference. 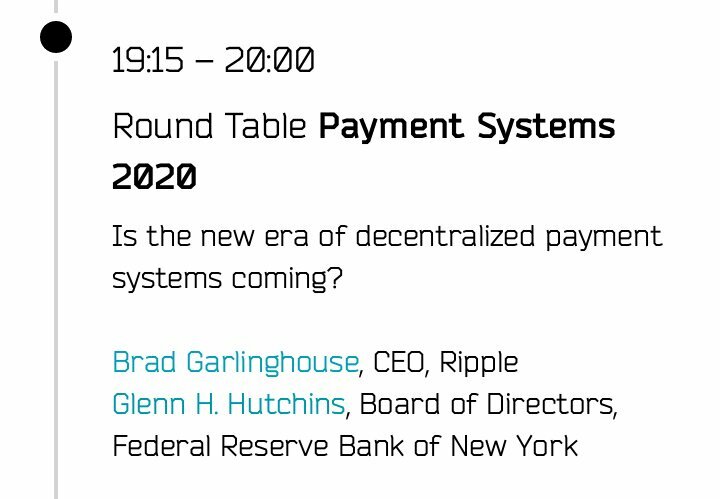 Instead, Brad will have Michal Krupinski, President of the Management Board as a panelist on ‘round table payment systems 2020’. BEF or Blockchain Economic Forum is backed by LA token which is scheduled for Jan 24-26, 2019 in Davos, Switzerland. It is primarily focusing on ‘The decentralized Financial system’. However, on Jan 13, 2019, Ripplecoinnews reported that Brad Garlinghouse was about to meet outgoing CEO of SWIFT to discuss on fintech topic in conference. Accordingly, Gottfried Leibbrandt was visible in ‘BEF Davos Speaker’ section on the website, which is unfortunately not available today. Moreover, Brad’s face-off was scheduled with ‘Glenn H. Hutchins, Board of Directors, Federal Reserve Bank of New York but as per the new agenda, the panel will have a new panelist, Michal Krupinski, President of the Management Board. Swift has long been apathetic towards blockchain and has recently caught with various complaints by its users. Nevertheless, Ripple’s emergence is highly appreciated as the alternative solutions by worldwide payment and fintech firms. Following ‘the tweet announcement from XRP community member, many individuals are commenting their views and opinions. One such XRP enthusiasts point that ‘its no big deal’. Although nothing from Davos official is revealed on ‘modification in agenda’ and the absence of Gottfried Leibbrandt as well. 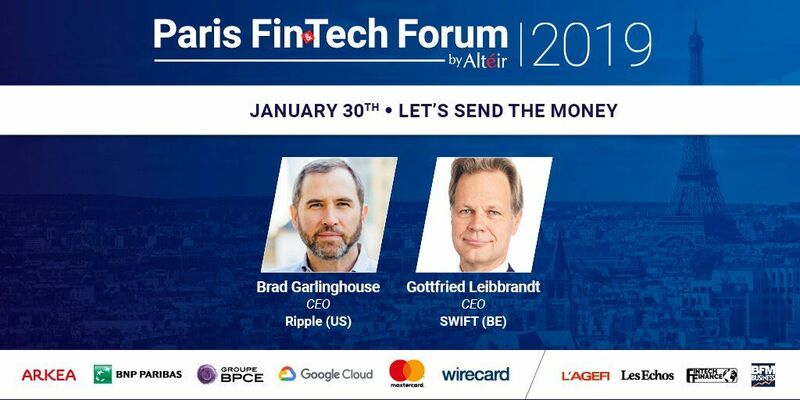 If not at this conference, it is worth to note that outgoing CEO of SWIFT will likely meet CEO of Ripple at upcoming Paris Fintech Forum which is organized on Jan 29-30, 2019 at the place de la Bourse, Paris. In fact, both panelists will talk on an interesting topic ‘Let’s send the money’. Stay tuned with Ripplecoinnews to know further updates on Ripple, blockchain, Swift and more.